This swift gliding swimmer has fallen in love with her unique sport over her past ten years of involvement. 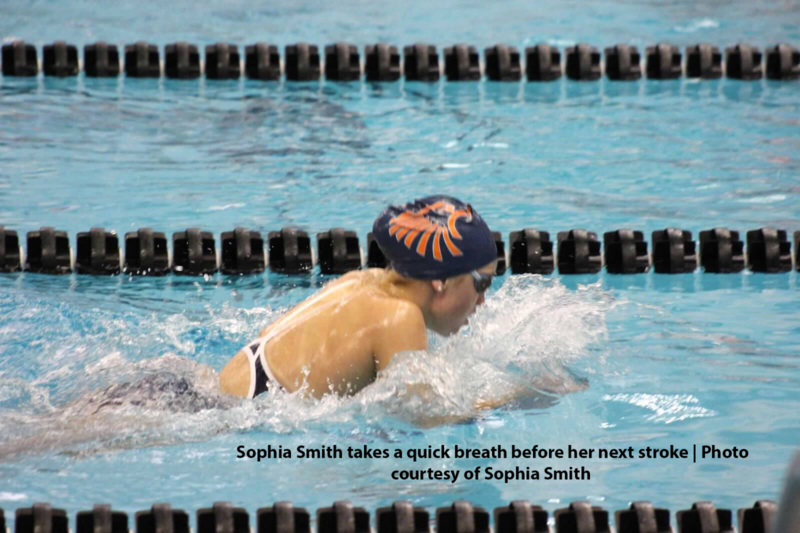 Senior Sophia Smith spent years swimming on a club team but decided to try out for the team at Olathe East her freshman year. This was a new experience for her, considering club was co-ed and the school teams are separated into girls and guys. “I can see growth in club and in high school but it’s nice being with the same gender,” Smith said. Along with this, Smith has also noticed that the school team practices very differently. In club, she trained using aerobics, but in school she has been introduced to USRPT, or Ultra Short Race Pace Training. 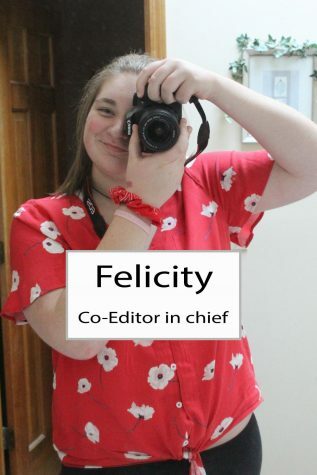 However, she believes the training reflects in the swim meets regardless of club or the school team. 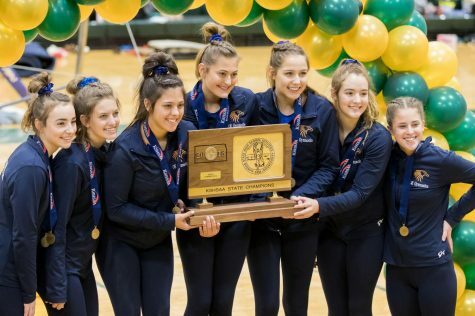 “If you put in the percent effort, like showing up to practice every day, it really shows during meets,” Smith said. Although a meet usually holds around 100 swimmers, according to Smith, every swimmer is for herself, so good performance is highly important. This also means you’ve got plenty of people cheering you on. “Everyone is competing and [we do] cheers and chants for our teammates,” Smith said. She pointed out that a chant in particular that the team does before each meet brings the team closer and gets everyone hyped up before the races start. “I was swimming the 500 and was thinking ‘oh, no one’s gonna cheer for me but I don’t really care.’ Then throughout the race I noticed some of my teammates are cheering me on. Then when I did my flip turn I see almost the whole team right behind my lane cheering for me. I thought that was really cool,” Smith said. Smith intends to make many more memories because she plans to continue swimming in college. “I committed in November and I’m going to the University of Maryland,” Smith said. One of her biggest motives for this move, she loves the bond she has with her teammates. Smith also isn’t afraid of being pushed in practice because she knows she can keep going. Swimming has a special place in Smith’s heart because it’s a sport like no other. “It’s a really different experience and a really cool thing to be a part of,” Smith said. Intense relays and fast-paced races keep this swimmer in the water. 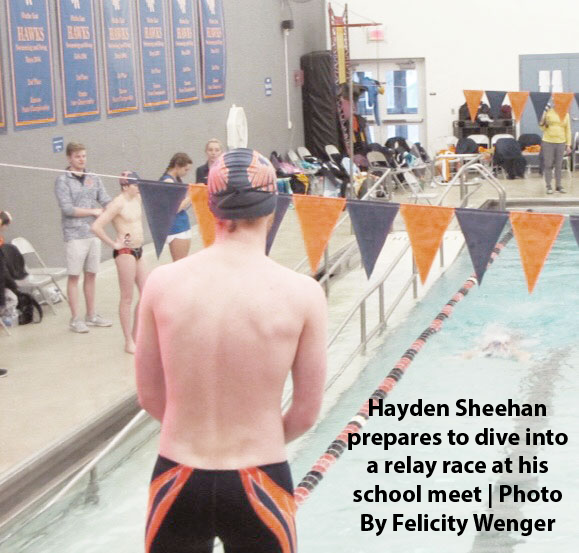 Sophomore Hayden Sheehan started swimming about five years ago, the summer after his sixth grade year. He originally swam for a club team in the summer and found that he really enjoyed it, and decided to try out for the Olathe East swim team. Sheehan plans to quit swimming during the summer because of his busy schedule, but will remain involved in swimming for the school team. 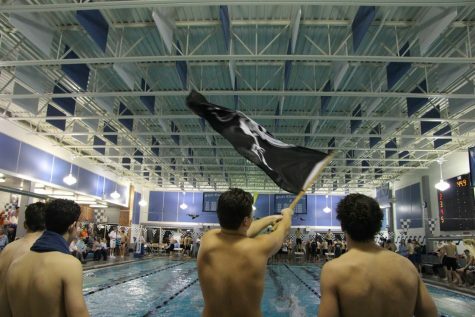 In Sheehan’s opinion, swimming can be categorized as both an individual and a team-based sport. “The team is really fun; we’re close,” Sheehan said. Multiple team bonding activities, such as team dinners, make the environment more comfortable. “Me personally, I like the meets the most. Everybody is cheering for each other and really into the events. It gets really exciting,” Sheehan said. Most meets are a good time, but some in particular can spark some laughter. The swim team has a conch shell they received long before Sheehan was on the team that gets passed along from junior to junior. The conch shell, blown before the start of every meet, continues to be a very important tradition. 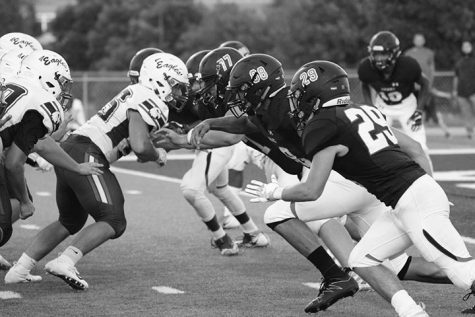 “One time at Shawnee Mission South, they stole it from us. A couple weeks later, they returned it, but threw it to the bottom [of the pool] during our meet. A kid on our team, Vincent, dove down, got it, and came out looking magnificent,” Sheehan said. A typical meet might not always be this crazy, but just as fun. Usually held at middle schools, multiple teams participate during each meet. The divers compete first, followed by the swimmers. These events can last up to an hour or two, and are followed by the ending relay. “Everybody is up cheering for them, and it’s usually an intense relay. But yeah that’s pretty much it, I mean, we swim,” Sheehan said. While meets are tons of fun, swimming in college will be out of the picture for Sheehan. “I don’t think I’ll be swimming in college, [I will] probably be running in college,” Sheehan said. He has been participating in cross country and track since sixth grade. Sheehan also enjoys during the off season. He also plans to start swimming more in the off season, as he currently just trains through swim practices. “Sometimes practice can be tough to get through but the feeling you get when you finish will make everything worth it,” Sheehan said.